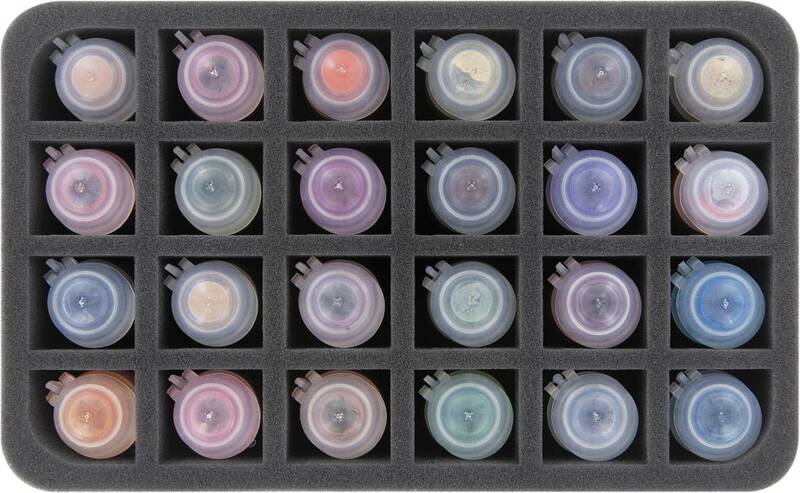 Your miniatures are neatly stowed away, but the paints still stand around disorganized? You are looking for a solution to safely transport the paint pots? Then this foam tray is for you. Up to 24 Citadel paint pots in 24 ml size can be stored here clearly arranged and portable. Thanks to the lightweight material, this foam insert is a wonderful addition to your hobby case. 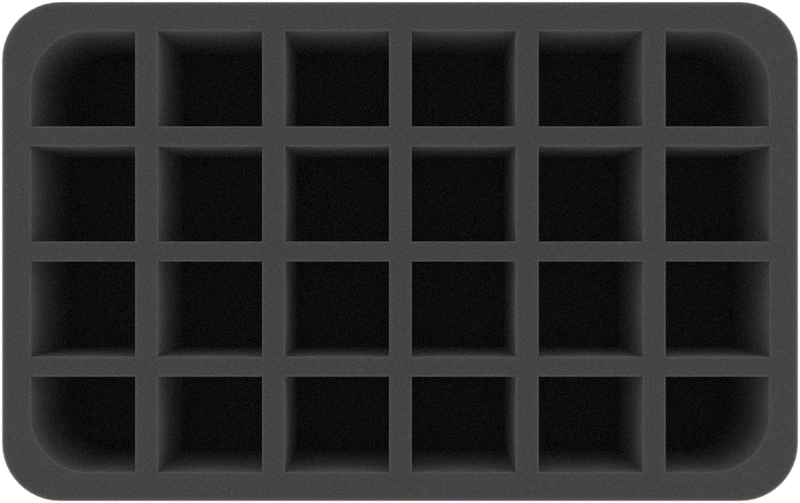 Each of the 24 compartments is 36 mm long x 33 mm wide x 60 mm deep. 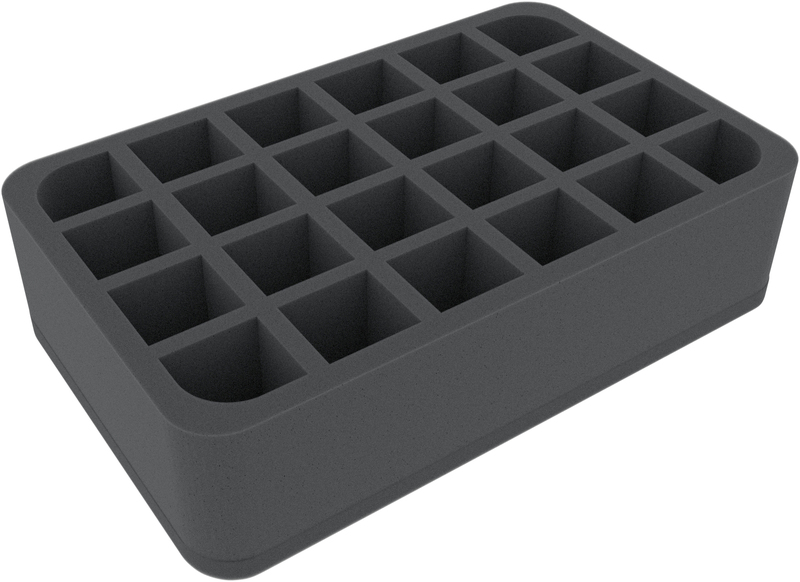 This Half-Size foam tray has the dimensions: 275 mm x 172 mm x 70 mm total height (60 mm usable height + 10 mm foam base).